AeroPilates is a powerful way to burn fat, tone and strengthen muscle and increase your flexibility. 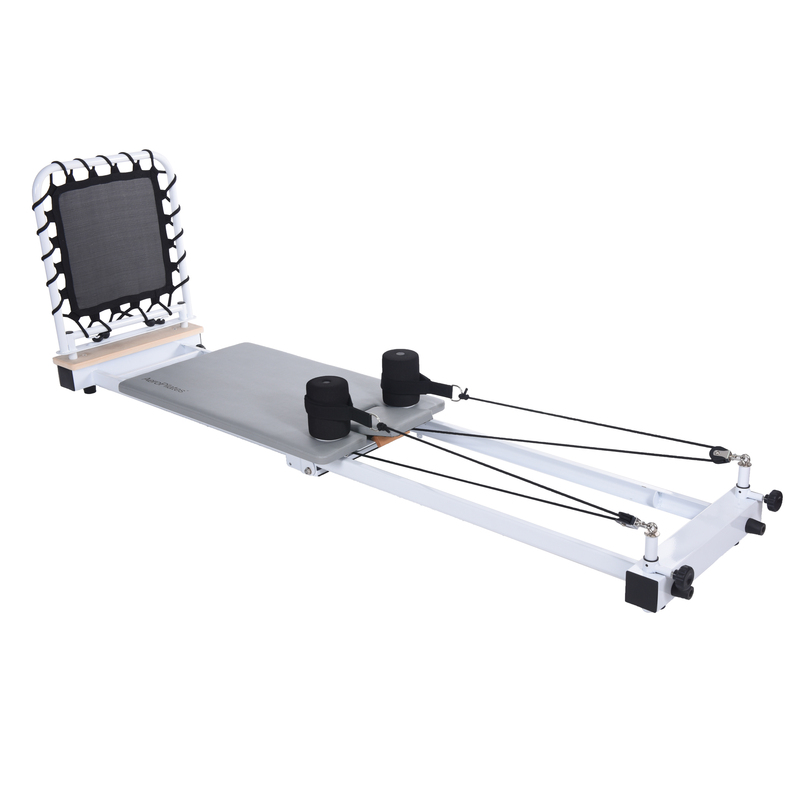 The Precision Series Reformer 535 packs a potent combination of features, comfort and precise design into one premium Reformer package. The 535 offers four levels of spring resistance. 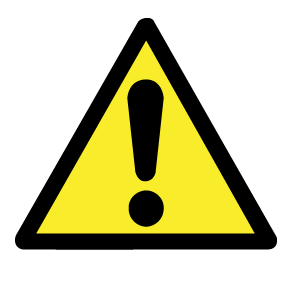 Use any eight combination of the two light resistance springs, indicated by the yellow band, or the two heavier resistance springs, indicated by the blue band. 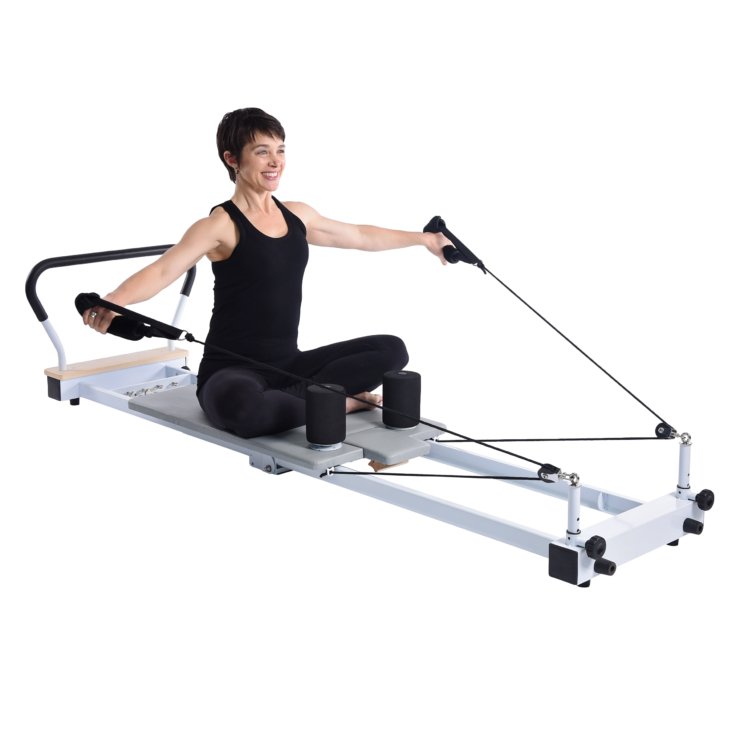 Use the wide, adjustable and padded foot bar for traditional Pilates exercises. When you’re ready for an increased challenge along with a fun, faster-paced exercise, switch out the foot bar with the included Patented Cardio Rebounder. Rebounding while lying down is an effective way to improve cardiovascular health and burn calories with reduced strain on your joints, hips, or spine. For extra workout motivation, this Reformer package also includes FREE online access to two of our popular AeroPilates Video Packages, the AeroPilates Primer and the Basic Workout Package. The AeroPilates Primer gives you the foundation for a solid understanding of the AeroPilates Reformer and its benefits, along with a guided introductory workout. The Basic Workout Package comes with two additional workouts using the Cardio Rebounder and foot bar. ‘Precision’ is an essential piece of the AeroPilates standard. That’s why this Reformer was designed with you in mind. 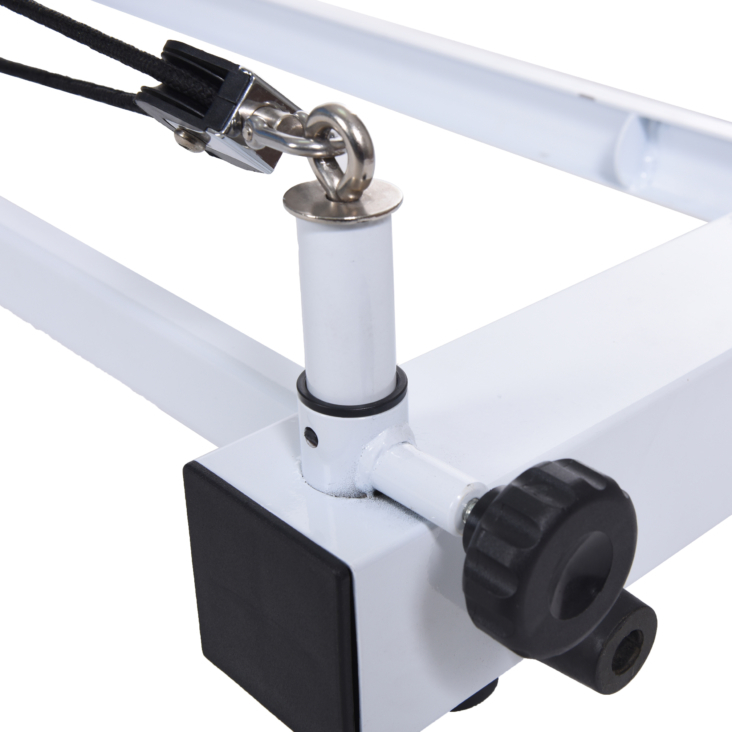 The aluminum rails and ball-bearing rollers provide a smoother movement. The wide, padded platform, high-density foam shoulder pads, adjustable headrest and double loop hand and foot straps keep your body comfortable during exercise – so you can focus more on getting results. 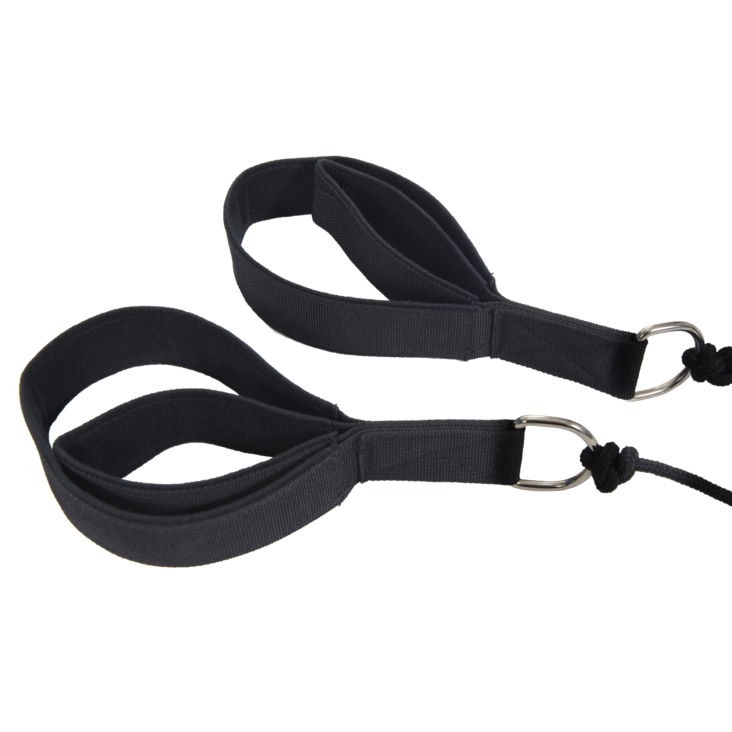 Customize the angle of the straps with the adjustable pulley risers. A sleek gray and wood-trim body design makes this Reformer a showpiece for any home gym. 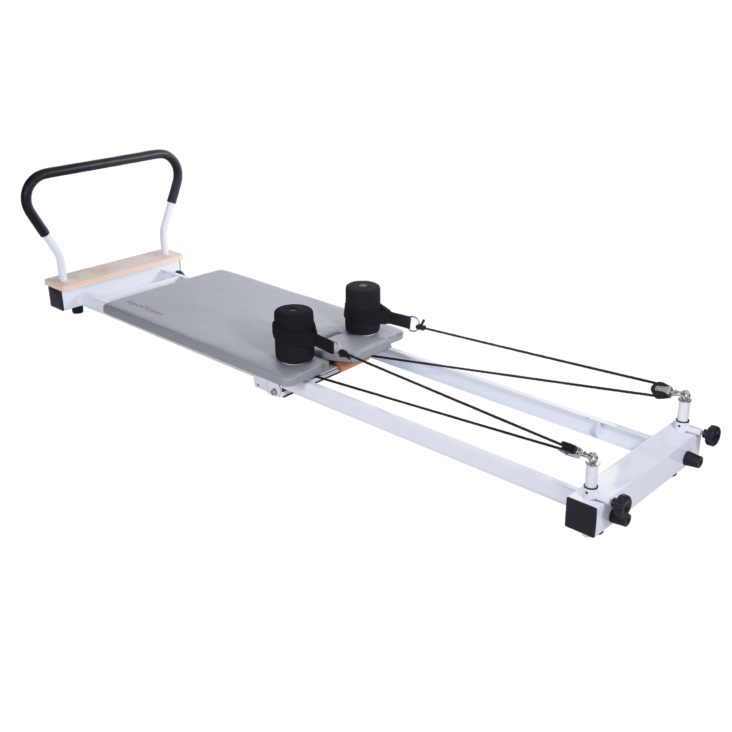 Improve your health and build a better body with the AeroPilates Precision Series Reformer 535.